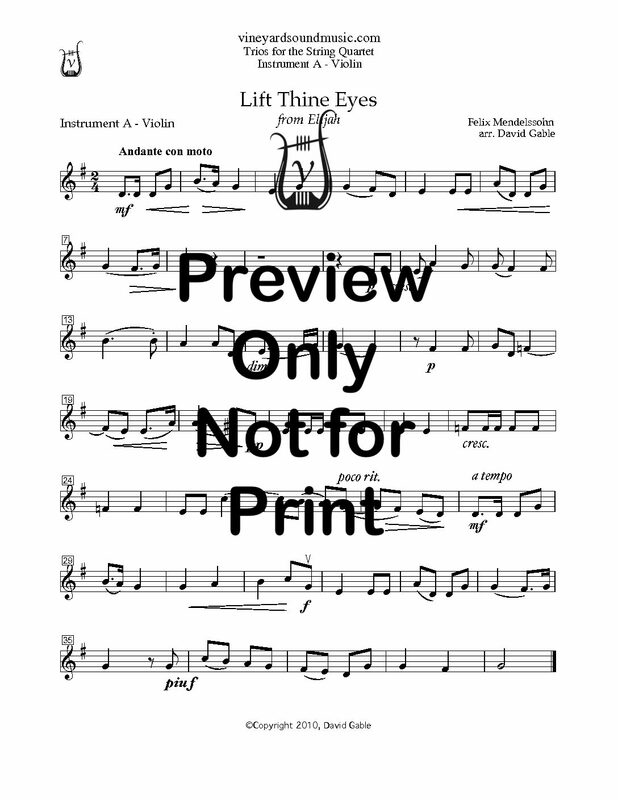 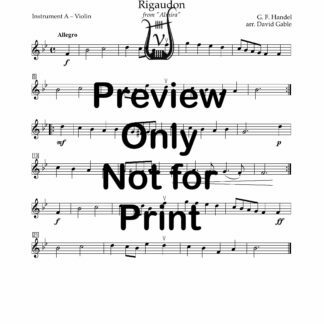 This repertoire is the ultimate resource for gigging quartets when one member is delayed. 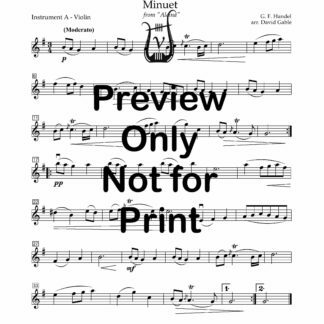 Who has not had the experience of having to wait or play with a missing part until the late person arrives? 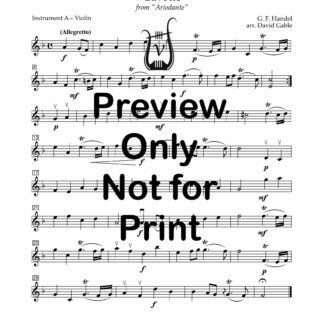 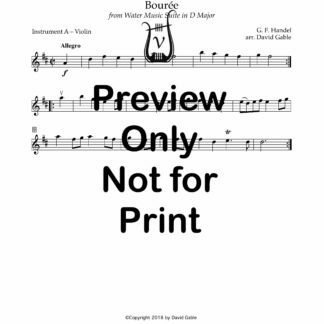 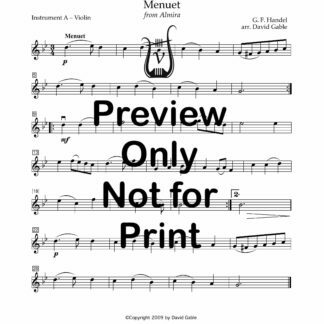 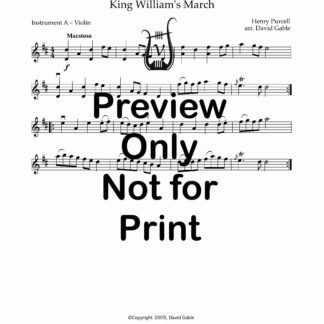 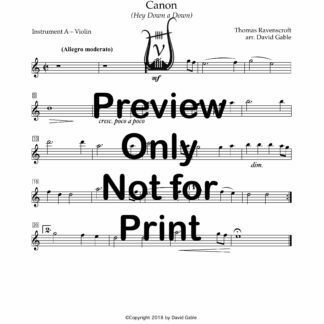 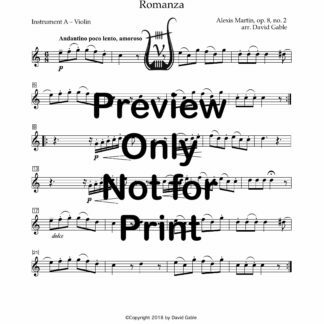 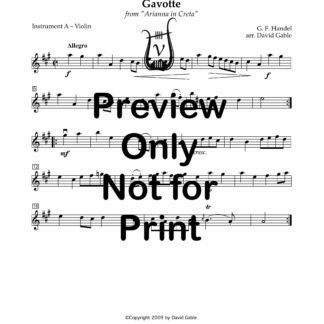 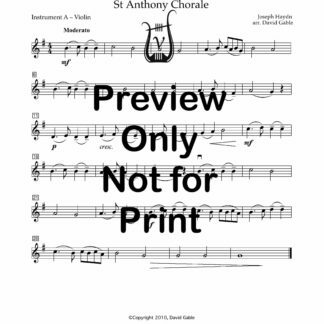 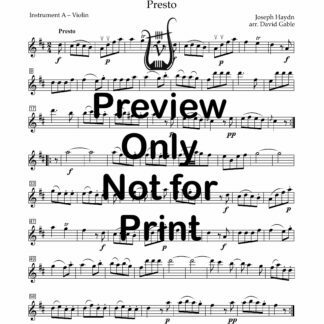 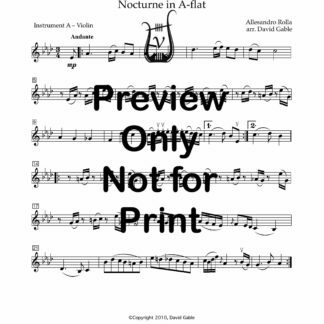 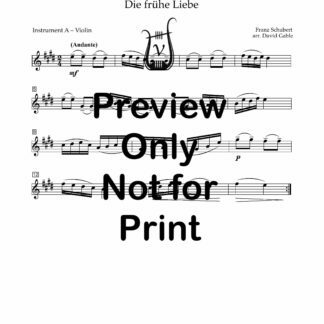 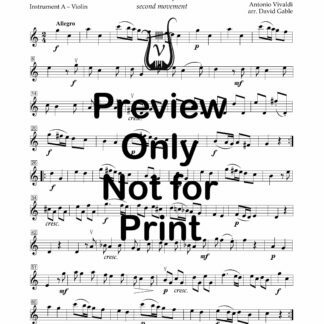 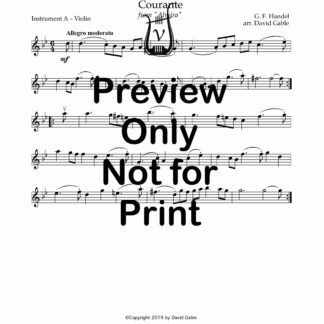 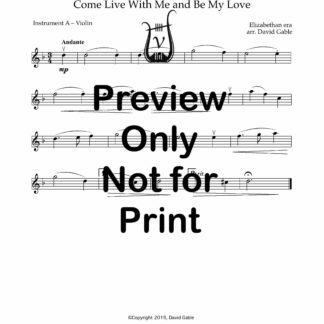 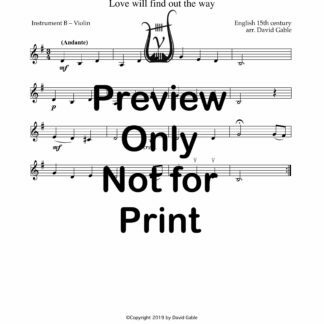 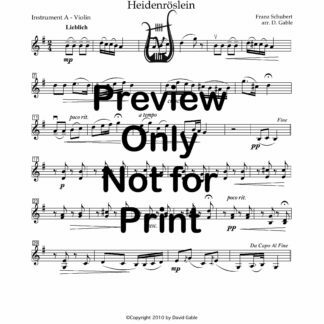 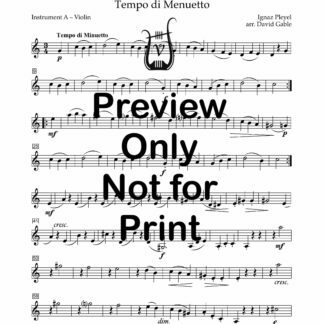 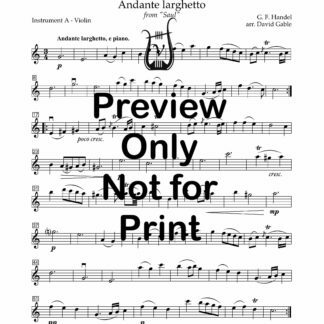 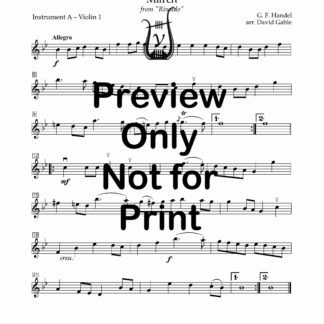 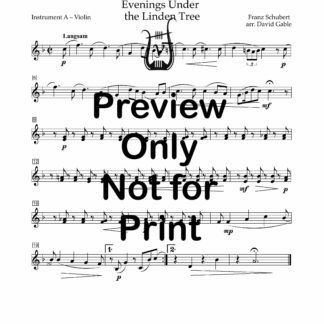 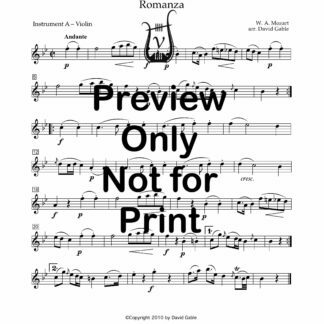 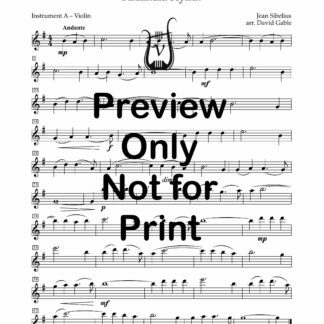 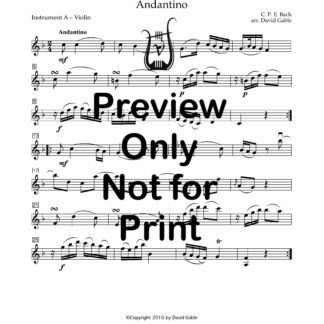 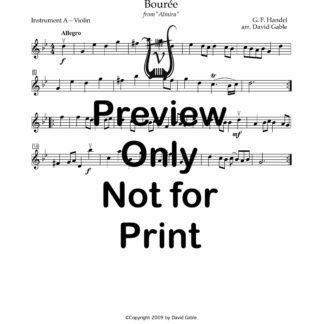 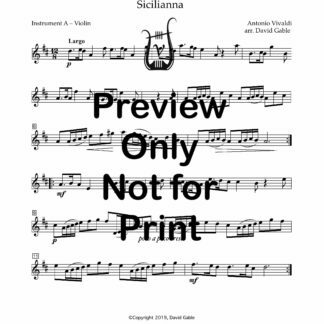 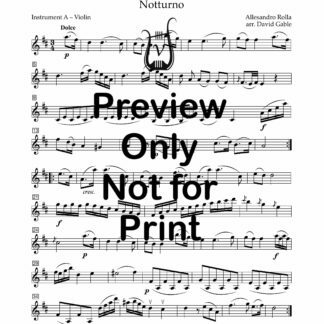 Each arrangement included parts for Instrument A (violin, included with a duplicate so both violinists can carry it) Instrument B (violin 2 or viola) and Instrument C (viola or cello). 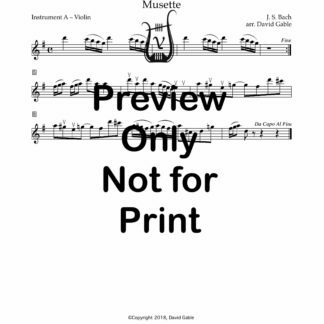 This means that no matter who is late, your group can start performing without the problem of missing parts.